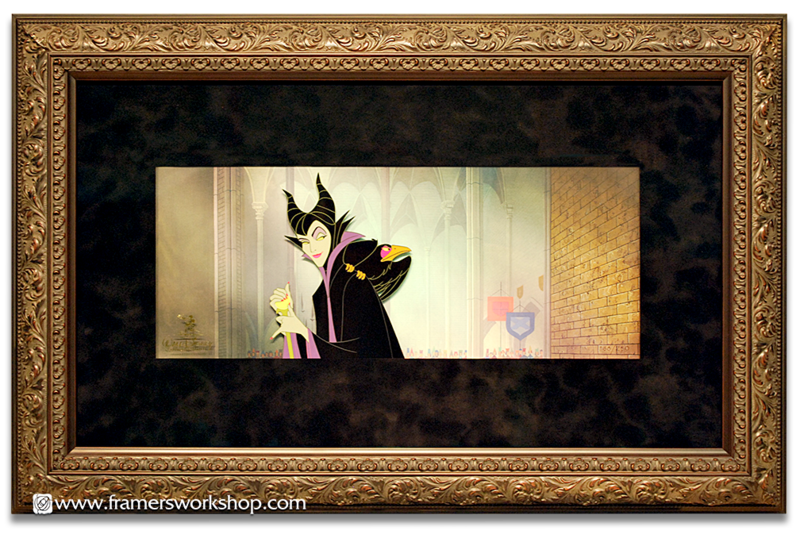 Framed original animation cell of Maleficent and her familiar, Diaval. Animation cells require special framing techniques to protect and preserve them for posterity. The background painting sits on an acid-free foam core backing. The animation cell is floated above it with acid-free 8ply matting. On top is an extra deep, hand-wrapped velvet matting. It is glazed with museum glass and framed with an appropriatly gothic, ornage told frame.